I started at MTU Aero Engines in September 2011. 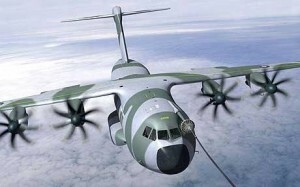 I was involved with the testing of software for the A400M engines. I performed unit testing of the software, which is written in C.
The unit testing was performed to DO-178 level A. In order to perform the unit testing it was necessary to gain a full understanding of the software requirements (both high and low level) in DOORS. The unit tests were run on the actual hardware, using the Lauterbach Trace-32 debugger. I also performed code coverage using the tools from LDRA. When testing to DO-178 level A it is necessary that every line of code is covered by the unit tests. The code coverage tools show which lines of the code have been tested. For DO178B level A testing it is necessary to achieve 100% code coverage. It is necessary to put a lot of thought into the test cases to be developed, the range of test values to use (in-range and out of range values) and the stubbing of function calls. It was also necessary to perform a review of the software requirements (both high and low level) in DOORS. I also made many suggestions for improvements. Refer to the menu “Software Validation” for more information on DO178B. I offer contract software development services.